The Mississippi Collision Repair Association has now partnered with the CARS Cooperative to provide an additional benefit to all MSCRA members. All members now have a complementary membership to the CARS Cooperative, entitling them to the Savings4Members program featuring discounts at more than 58 different retailers, many of which are specific to collision repair shops. CARS is a stock-issuing business cooperative that brings collision repair facilities together with vendors and suppliers to gain discounts, rebates, rewards and training on products and services used in their shops. CARS is a member-shareholder based National Organization serving the Collision Industry since 1992. Shareholders represent the best Automotive Collision Shops and related businesses throughout the United States, working together as a cooperative. 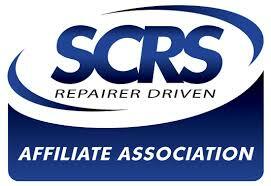 MSCRA is proud to be a partner with CARS and pleased to be able to provide this additional benefit for its members.